This is the first novel in the series of novels; Sheriff Bull Toros mysteries. They are historical fiction, based in part, on case files. Bull Toros is a Viet Nam veteran, USAF security forces officer. He returned to his home in the Ozarks of Missouri, where he works as a deputy sheriff. Bull was recruited by the State Highway Patrol. After his graduation, and just under his probatiionary first year, his wife and daughter were brutally killed. Bull took a leave of absence and hunted down the two men, exacting his revenge. The Patrol classified his third degree black belt as a deadly weapon and dismissed him. Sheriff Spiers enlists Bulls help to investigate a brutal double homicide of an elderly couple on Monkey Mountain. The sheriff meets with an accident leaving him in a coma. 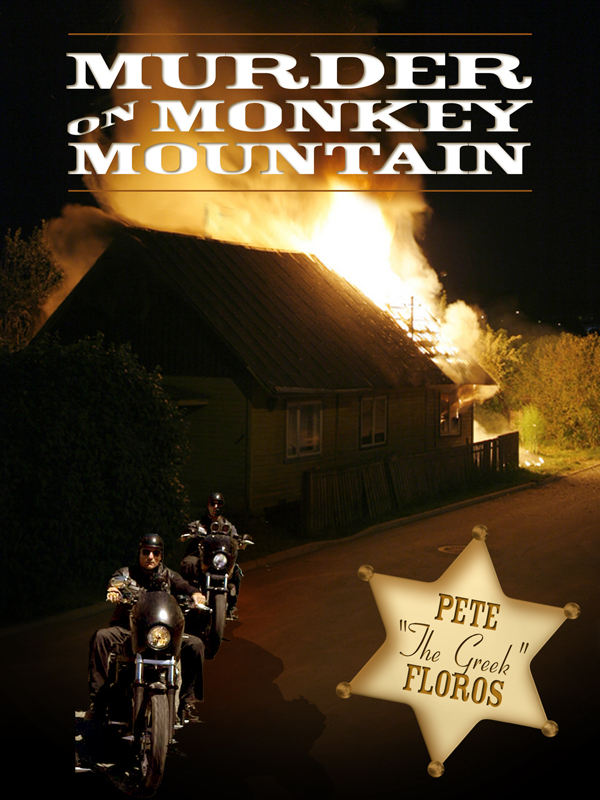 He was secretly investigating a clue that the treasure of the Jesse James gang was hidden in a cave on Monkey Mountain. The county judges solicit Bull to take over and run for sheriff in the upcoming election. With one other deputy and an office staff of three, he accepted their offer. A series of suspicious murders and arson began in his county and spread interstate. One couple were the parents of a Chief Master Sergeant at Scott Air Force Base. The base commander, a fiery, five foot tall, red headed lady, karate black belt, took a personal interest in his case. Joni and Bull both ride Harley Davidson motorcycles, and form an ongoing relationship and love affair. They uncover a series of kill for profit conspiracies, involving Don Vito Cormone, head of the syndicate mob, and the Hades 1% motorcycle gang. Another unique feature involves an old friend of Bull, Pete “The Greek”, a traveling pinstriper and Colonel Joni’s secretary, who both figure prominently in helping to find the hidden treasure of the Jesse James gang, which is guarded by the Mo-Mo, or Big Foot creature. Big Chief, a Cherokee and the last of his clan, knows all the secrets of the mountain. “Menace on Monkey Mountain” is a sequel. You can purchase the book online from Smashwords in multiple eBook formats at http://www.smashwords.com/books/view/147089.